Don’t blow this chance, Jameis Winston. The talented but too-often troubled Buccaneers quarterback got his job back, for a half Sunday and likely the rest of the season. 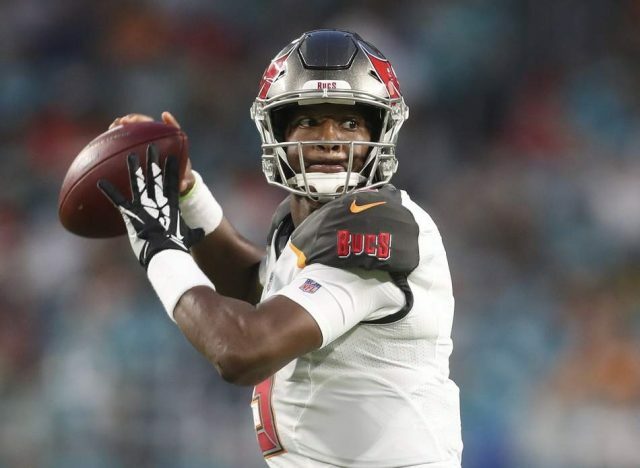 Where he, and the Buccaneers, go from here largely depends on Winston and whether he really has learned from the incidents that have left so much wreckage in their wake. Will his immaturity resurface, knowing his talent will get him a pass? Or will he finally be the grown-up he swears he has become, someone his team can rely on? It’s more than that, of course. The Buccaneers made Winston the first pick of the 2015 draft despite a checkered career at Florida State that included a Heisman Trophy and sexual assault allegations. He showed promise his first three seasons with Tampa Bay, but his absence the first three weeks of this season was the result of his suspension for groping an Uber driver in March 2016. The Buccaneers have invested too much in Winston for him not to be the changed man he now says he is. With Atlanta suddenly a shell of the team that reached the Super Bowl two seasons ago, there’s no reason Tampa Bay can’t stake a claim to the NFC South crown. But it will need Winston to do it. As wildly entertaining as FitzMagic was the first two weeks of the season, everyone knew it was too good to last. Sure enough, Ryan Fitzpatrick returned to his 14-year journeyman form in a debacle of a first half Sunday that saw the Buccaneers fall behind 38-3. Realistically, there wasn’t much Winston could do when he replaced Fitzpatrick to start the second half. “We put Jameis in a terrible situation,” Buccaneers coach Dirk Koetter said. Still, Winston did give Tampa Bay a spark, completing five of his first six passes. Gave them a touchdown, too, on a drive in which he became possibly the first person this year to have a close encounter with Khalil Mack this season and escape unscathed. But more is expected now. The Buccaneers have a bye week before playing the hapless Falcons. That’s two weeks for Winston to work with his teammates and regain their rhythm. Two weeks to remind everyone he’s no longer a cause for concern but, rather, someone to be counted on. He couldn’t have chosen better words. By all accounts, Winston has been a model citizen and teammate since the incident with the Uber driver more than two years ago. He readily accepted the NFL’s suspension, which included a clinical evaluation, and spoke in April of the “positive changes” he’s made in his life. He has a child and talked about recognizing the need to be a role model for him. “I should have never put myself in that situation,” Winston said in the spring. No, he shouldn’t have. And he can never do it again. Football has always been Winston’s out, the reason people have been willing to forgive his considerable mistakes. But there are limits, and he must not test his again. Though Koetter wasn’t ready to make it official, he said Winston had “probably” done enough to get the start against the Falcons. That means the Buccaneers are again putting the franchise in his hands, on and off the field. What Winston does with it will be his choice.